Rumors are One Plus is ready to bang the Smartphone market with new phone, featuring Samsung Galaxy 8 look like with 6-inch Display One Plus 5. According to some different so called rumors, it is coming soon or rather in November to be specific, notes that the OnePlus 5T exists and that it comes with a 6-inch display that will be very similar to what LG is using in the V30 phone. This display will have a 18:9 aspect ration.unlike the OnePlus 3T last year, which was very similar to the OnePlus 3, this time around the T variant of the current flagship phone is rumored to be very different from the OnePlus 5. Reports Claim OnePlus 5 shall be ditching it’s previous 5.5 inch display by featuring 6 inch display. Unlike the OnePlus 3T last year, which was very similar to the OnePlus 3, this time around the T variant of the current flagship phone is rumoured to be very different from the OnePlus 5. With 1080×2160 p. resolution. One plus 5 will have very S8-look like slim bezels with an aspect ratio of 18:9. It is said that T segment of Oneplus 5 will be launched after five month of launch of OnePlus 5. For a reminder we must recall, One plus 3T version was launched after the five months of the launch of the original OnePlus 3 in the year 2016. The all new One Plus 5 will be coming in with two variant of RAM: 6GB RAM and the other with 8GB RAM. 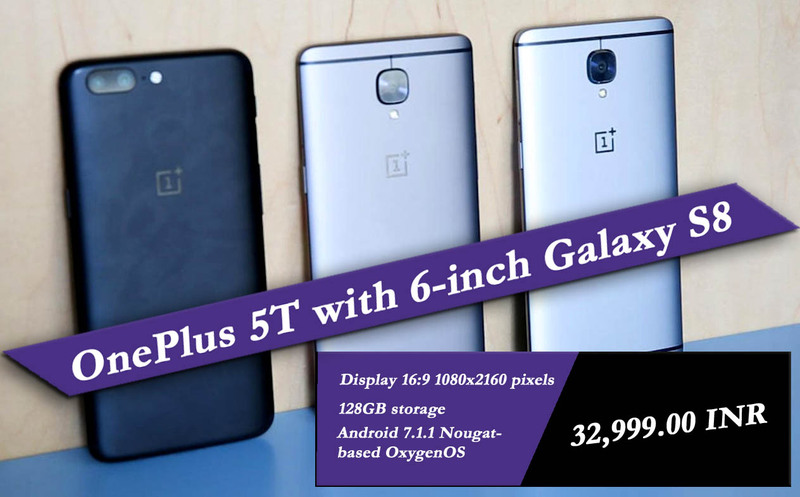 The Phone runs Android 7.1.1 Nougat-based OxygenOS and not the Android.As per the processor it is said that the new OnePlus 5 will be powered by an octa-core Qualcomm Snapdragon 835 SoC processor. While there is no confirmation from the company on the launch of OnePlus 5T, the OnePlus 5 which is the OnePlus’ flagship phone of this year has already gone out of stock in several markets like US and UK. The Slate Grey variant of the phone shows unavailable in many countries.